Adele just hit the world (again) with her tenth song in her newest album, 25. Do you know the song yet? Yes, correct. It’s all I ask. I was literally having my eyes teary when I watched her great performance on Ellen. I just can’t get it enough to think how she could (and some other co-writers, including Bruno Mars) write such an emotional song. What about you? A penny for your thought on ‘All I Ask” by Adele. Besides having ethereal voice, there are some facts about her that we have successfully gathered for you. Adele has won Grammy Awards 10 times. She is one of the most talented British artists who was appointed as a member of the Most Excellent Order of the British Empire (MBE). Adele was assessed as one of the most powerful women in the United Kingdom by BBC Radio 4. Adele started to climb her ladder of fame after a friend of her posted her demo on MySpace. She began singing at age four. She started to write and compose in 2004, when she was 16. Born in Tottenham, north London, and raised in West Norwood, south London, Adele has a working class cockney accent that has only leavened slightly over the years. Sam Dixon, Adele’s bassist, said that many of her songs are based on true events and people. No wonder that every of her performances is always moving and teary. “Someone Like You” and “Rolling In The Deep are the songs she wrote after she broke up with a guy. Surprisingly, many of her friends were happy for the separation as they dubbed Adele acting different when she was around him. 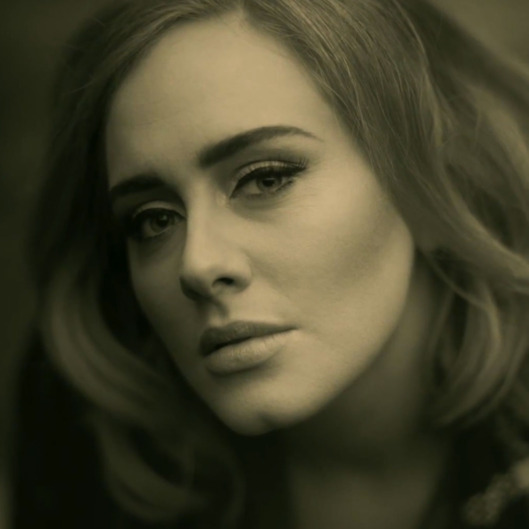 Adele in a music video for her newest hit, “Hello”. Do you know Adele’s Hello? Do you like the song? Quick fact about the song: “Hello” becomes the first song ever to break the 1 million download on the Billboard charts. Well, let’s talk about the word “hello”. Probably the most popular word in the world! We always use it to call or pick up the phone, just like Adele does, right? Even though Alexander Graham Bell invented the telephone, but it was Thomas Alfa Edison who made the use of “hello” popular. Bell proposed using “ahoy” as the standard greeting for a phone call. Hmmm… Will you use it? Probably…not. Yes, Edison is the reason “hello” is the standard telephone greeting, but he wasn’t the one invented it. “Hello”, with that spelling, was used in publications as early as 1833. The word was extensively used in literature in 1860s. “Hello” is so popular that there’s an annual celebration of “World Hello Day” on November 21st! The aim of World Hello Day is to say “hello” to at least ten people. It was begun in response to the conflict between Egypt and Israel in 1973. The day is now observed by people in more than 180 countries worldwide! Adele’s Hello is obviously not the first song using “Hello” as the title. There were other popular songs. Lionel Richie’s “Hello”, released in 1984, is definitely one of the most memorable ones. The Beatles released “Hello, Goodbye” in 1967 and was commercially successful around the world.